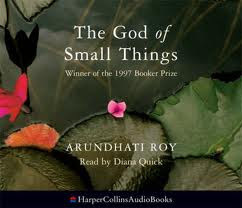 This novel book The God of Small Things is written by Arundhati Roy and here it is available in PDF format. The God of Small Things is a story about the childhood experiences of fraternal twins whose lives are destroyed by the "Love Laws" that lay down "who must be loved, and how, and how much". The book is a description of how the small things in life affect people's behavior and their lives. The book won the Booker Prize in 1997.